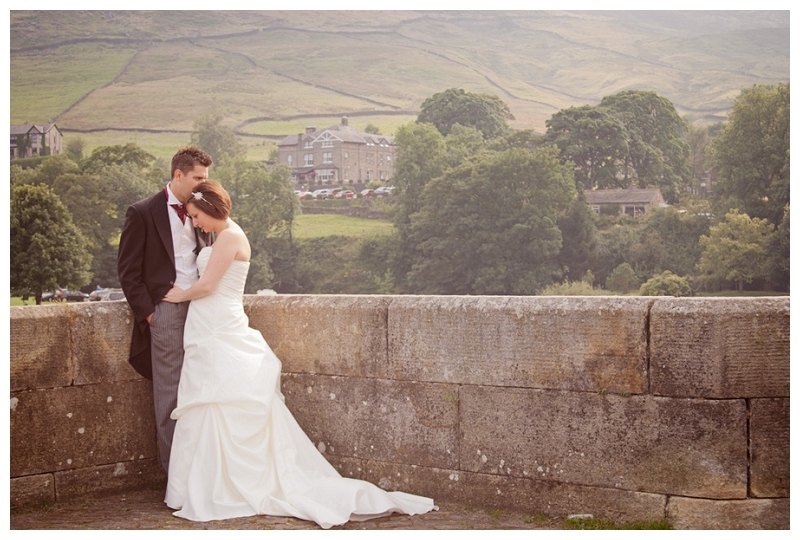 Jodie and Paul decided that The Devonshire Fell, a stunning venue in the picturesque village of Burnsall, was the perfect place for them to get married. I have fond memories of visiting Burnsall with my family when I was younger. We used to spend all day by the river with a barbeque. This meant I was super excited to photograph a wedding here knowing how beautiful the village was. As the whole day was at their chosen venue, I set off to the Devonshire Fell bright and early for bridal prep with Jodie. Paul arrived shortly afterwards and I took the groomsmen into the village for a few photos before the ceremony. After a few photos I could tell the guys weren’t enjoying themselves so I asked what would make them happy. And they all replied “A pint!” So we went to the local pub instead and the photos were much more relaxed.